Astrophysics introduces you to the basics of physics and demonstrates how this knowledge can be applied to the physics of astronomy. Many of the recent astronomical discoveries have made it an increasingly popular area of study for students across the world. In practice, modern astronomical research often involves a substantial amount of work in the realms of theoretical and observational physics. Some areas of study for astrophysicists include their attempts to determine: the properties of dark matter, dark energy, and black holes; whether or not time travel is possible, wormholes can form, or the multiverse exists; and the origin and ultimate fate of the universe. Topics also studied by theoretical astrophysicists include Solar System formation and evolution; stellar dynamics and evolution; galaxy formation and evolution; large-scale structure of matter in the universe; origin of cosmic rays; general relativity and physical cosmology, including string cosmology and astroparticle physics. 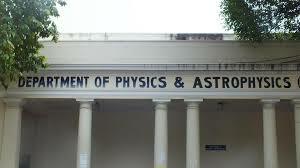 Astrophysics, Tata Institute of Fundamental Research, Pune. Bsc in Astrophysics in University of Edinburgh: The School of Physics & Astronomy has close links with the Royal Observatory, Edinburgh, one of the UK’s major centres of astronomical research. Thanks, Harindra for the interest. We would be happy to guide you for admissions abroad. Please do reach out to us at 9811717287. Look forward to hearing from you.